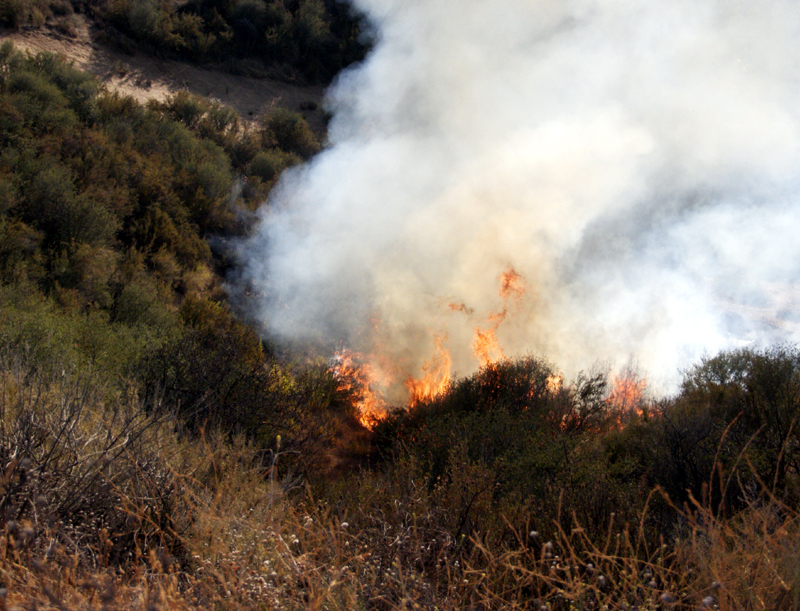 Fire scorched two acres of brush Thursday evening in Saugus. The fire broke out around 6 p.m. under some Edison power lines east of Seco Canyon Road in an unincorporated section of the Santa Clarita Valley. Los Angeles County firefighters attacked the blaze and had it under control before 7 p.m. They had mopped it up by 8 p.m.